Be the first to hear about their new releases and deals. 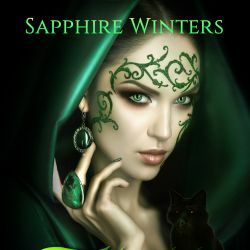 Download the Booksprout app and search for Sapphire Winters today! I love writing paranormal romance, short stories and hot steamy dragon shifter books. When im not writing, im a busy housewife, mom, and a d.i.y-er of all projects and crafts. Visit me at https://www.authoramericamarble.com/ for more information & upcoming books!